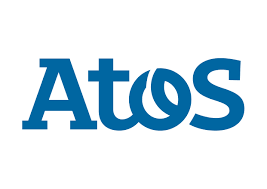 Atos Spain is a leader in digital services and is focused on business technology that powers progress and helps organizations to create their rm of future. In SHAR-Q project, there are two different Atos branches involved. Atos Spain brings to the project the expertise of the Energy Sector as a key player in the European research landscape. bAvenir, s.r.o. is an SME with proven expertise in field of project management, solution/enterprise architecture, strategic consulting and software implementation. The principal focus of the company is bringing to the market innovative solution with high usability in the field of internet of things, electronic law and security. In SHAR-Q project, bAvenir will be in charge of implementation of the SHAR-Q collaboration platform, using its experience and lessons learned from the VICINITY project that is carrying out similar concept for the decentralized interoperability of various IoT ecosystems. UBIMET GmbH is among the top three largest weather companies in Europe. The company's main area of expertise lies in developing forecast models and issuing weather forecasts with high temporal and spatial resolution, as well as in preparing data and forecasts tailored to suit individual customer requirements. In SHAR-Q, UBIMET will provide high precision weather data, solar irradiation and wind data for Demand Response Management in microgrids. Consumer behaviour and its relation to weather will be assessed with UBI pinpoint accurate now and forecasts. The ENERCOUTIM is a solar energy association that promotes rural economic and social development through the optimization of local resources, supporting multidisciplinary and technology-based projects in the areas of clean energy, sustainability and energy efficiency. Their main project is a newly built Solar Demonstration Platform: Solar Lab facility. In SHAR-Q project, ENERCOUTIM will be in charge of the implementation of one of the three pilots resorting to various Energy Ecosystems, specifically focusing on EES and RES solar components. The European Center for Renewable Energy Güssing Ltd. (EEE), serves as central coordinator for the “Model Güssing” project and the numerous sub-tasks involved, in order to facilitate the dissemination of experience in the field of renewable energy sources. In SHAR-Q project, the EEE will be the link to the ecoEnergyland demonstration pilot. The Basque Energy Cluster integrates the leading companies in the value chain of the energy sector (energy operators, equipment and component manufacturers and service companies), agents in the Basque scientific-technological field, and public administration bodies with responsibilities in the energy area. In SHAR-Q project, the Cluster will bring added value to the project through its expertise in power grids. It will be in charge of disseminating project results to maximize the impact of the project, to engage key industry stakeholders and identify potential business opportunities. 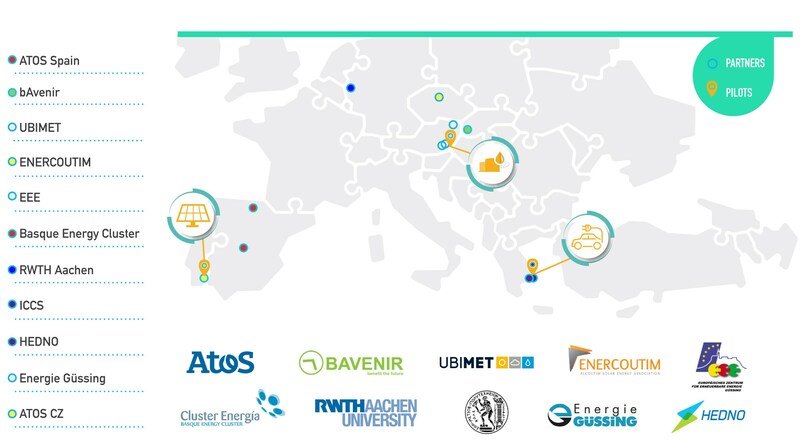 RWTH Aachen University fosters innovative energy research with a strong link with industry in an interdisciplinary approach, with five institutes from four different faculties. Both the simulation of dynamic processes in complex network systems as well as development of a stable and secure communication infrastructure are areas of expertise of the scientists working there. In SHAR-Q project, the RWTH will bring its expertise to boost the development of the SHAR-Q interoperability network. The Institute of Communication and Computer Systems (ICCS) is a private law body associated with the NTUA which carries research and development activities in the fields of telecommunication systems and computer systems. It has been actively involved in research in the areas of Power System Analysis, Planning and Control, Renewable Energy Sources (RES) and E-mobility. In SHAR-Q project, the EES Laboratory of the ICCS will add its great experience in the field of electromobility to the Meltemi pilot demonstration. Energie Güssing GmbH is the operator of the local national power grid and is committed to supply approximately 3500 customers with electrical power. To ensure the quality of electrical power supply, Energie Güssing is using internally resources and capabilities from mother company "Elektro Güssing GesmbH". Energie Güssing will provide to the SHAR-Q project the necessary infrastructure of the national power grid, the software and hardware environment for testing and integration of SHAR-Q pilot site, ecoEnergyland. The HEDNO (Hellenic Electricity Distribution Network Operator S.A.) was established in April 2012 and it is a 100% subsidiary of PPC S.A., however is independent functionally and administratively. HEDNO’s tasks comprise the operation, maintenance and development of the electricity distribution network in Greece in order to ensure transparent and non-discriminatory access of all consumers and more generally of all users of the network. Atos IT Solutions and Services, s.r.o. has broad knowledge of electricity industry evolutionary changes in last few years. ATOS CZ uses its knowledge of energy market participants and so prepare the main delivery content regarding benets for the energy market participants and end consumers/prosumers. In hand with content, SHAR-Q services and privacy/security part will be precisely dened based on skills acquired from previous projects.